The OmniScan MX is a portable and modular flaw detector that efficiently performs both manual and automated inspections. Built for the most demanding NDT requirements, this unit uses the innovative phased array and eddy current array test modules along with conventional eddy current and ultrasound modules. The OmniScan MX is a compact and lightweight flaw detector that is easily portable. It is built tough with casing and bumpers to protect against the shocks and drops of field operation. 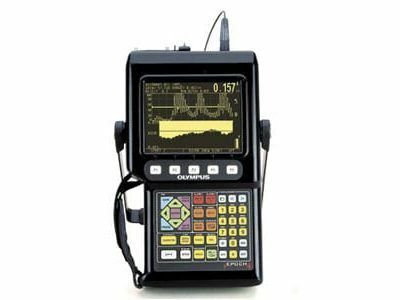 The OmniScan MX flaw detector offers user-friendly features such as an 8.4 inch real-time display that is visible under any light condition, and a quickly accessible scroll knob and function keys. The OmniScan MX makes inspection jobs a breeze. The modular design makes it easy to switch test modules on location by auto-detecting the connected module and adjusting the configuration and test environment automatically, saving valuable field time. With internal data storage capability, a host of export options and powerful software features, the OmniScan MX flaw detector is a great tool to add to your NDT inspection toolbox. 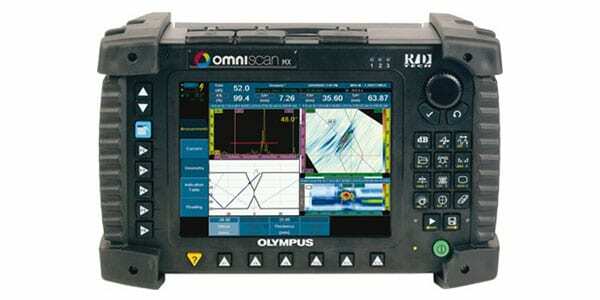 The OmniScan MX is available in 16 Channel and 32 Channel units for more demanding applications. 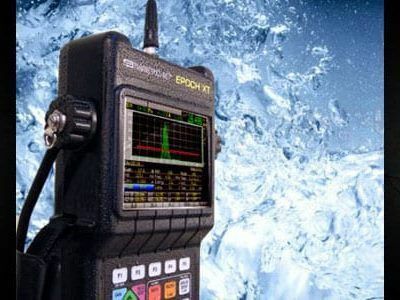 The optional Encoded B-Scan can be connected to the Olympus OmniScan MX ultrasonic flaw detector to capture and display the scanned thickness measurements along the distance of internally corroded pipe or tank walls. This powerful, time-saving option allows users to select between bidirectional and unidirectional modes, and can store up to 10,000 thickness readings.